Venice: On June 21st, the International Arte Laguna Prize opened its seventh edition to artists coming from all over the world. Created in Venice by the cultural association MoCA (Modern Contemporary Art) the Prize is based on visual arts and has the objective of offering concrete opportunities to talents, promoting and spreading contemporary art. Year after year, the Prize has built a strong network of local and International collaborations with Foundations, Museums, Festivals, over fifty art Galleries and many firms that decided to participate actively in the creation of specific projects. Considering its growing internationality, the Arte Laguna Prize has involved also foreign curators. This year the Indian curator Kanchi Metha, Director and Curator of Kunsthaus Basel is reconfirmed in the Jury. Also the Art residency in Mumbai supported by the company Technymon will feature the special prize “Artist in residence”. The Prize, over its sixth editions, has gone through a structural evolution, becoming an established international prize supporting contemporary art talents and one of the most important events of the contemporary art scene. Over 25,000 artworks have been presented by artists coming from 105 countries all over the world and many of them now have a great career. So far 43 international jurors have been selected for the Judging Panel, among directors of museums and foundations, independent curators and art critics; the regulations have been translated into eleven languages reaching a wider audience on the web. The Prize has obtained a medal by the Italian Head of State and the patronage of, among others, the Ministry of Cultural Heritage, the Ministry of Foreign Affairs, the Veneto Region, and the European Institute of Design. 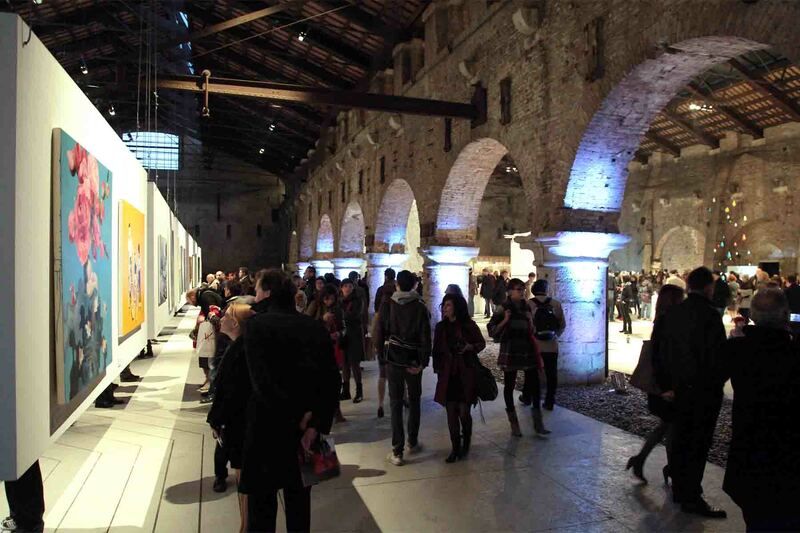 For this 7th edition the prize reconfirms the Arsenale of Venice as the location for the collective exhibition. The money prize is set to 7.000 Euros for each section. So the total amount of the awards – including money prizes and special prizes – is 170,000 Euros and the prize’s sections are: painting, sculpture and installation, photographic art, video art and animation, performance and virtual art. Supported by FOPE, a jewelery company in Vicenza (Italy), Arte Laguna presents for the second year the Virtual Art Award, dedicated to artworks created using the PC or Smart Phone applications. The winner of this award, in addition to the money prize, will have the chance to collaborate with FOPE, in a creative project. Important collaborations are reconfirmed, such as Open of Venice, Glass School Abate Zanetti of Venice and the Slovenian Festival Art Stays, and IAAB of Basel that will host a three-month residence in 2013. These new partners and collaborations show once more Arte Laguna’s attention to different aspects: the connection with the art market, the production of new works, and the relation to business and companies. As usual, the international Jury, chaired by the Art Critic Igor Zanti, has been almost completely renewed, and its members are: Umberto Angelini– Director of Festival Uovo, Gabriella Belli – Director of Musei Civici of Venice, Adam Budak – Curator of Hirshhorn Museum and Sculpture Garden of Washington, Cecilia Franceschini –Independent Curator; founder and director of lab-Yit | the Italian Contemporary Art Platform in China, Mario Gerosa – Senior editor of AD and Digital Art Curator, Lina Lazaar – Expert in International Contemporary Art for Sotheby’s, Kanchi Mehta – Founder and Chief Curator of Chameleon Art Projects and India Editor for Flash Art, Sabine Schaschl Pratesi – Director and Curator of Kunsthaus Basel, Felix Schöber – Independent Curator, Claudia Zanfi – Art Historian and Cultural Manager. 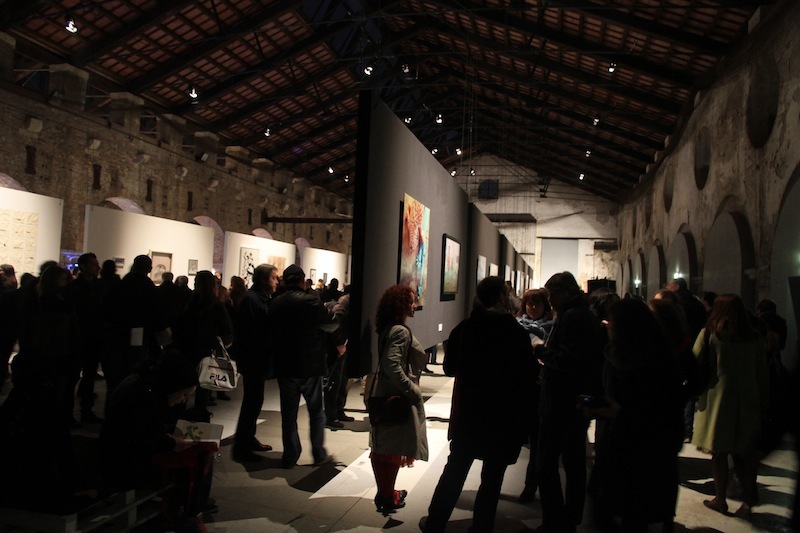 The collective exhibition in a prestigious space like the Arsenale in Venice, and the bilingual publication will gather the artworks of the 110 finalist artists, mapping as much as possible the plurality of contemporary art expressions. The application period will close on November 8, 2012. Further information and the regulations are available on www.artelagunaprize.com.